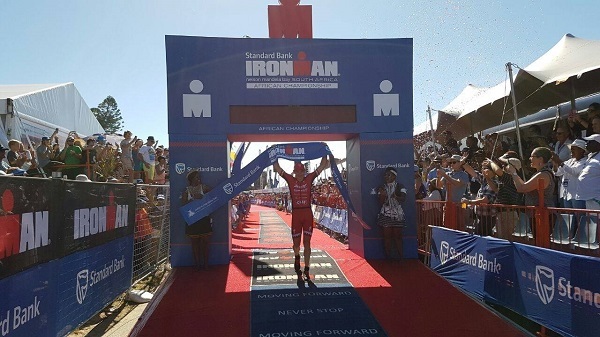 Ben Hoffman and Lucy Charles-Barclay won the respective men’s and women’s races at the Ironman African Championship in Port Elizabeth today. Hoffman claimed a total time of 7:34:19, with Nils Frommhold in second and Michael Weiss third. Charles-Barclay won in 8:35:31, while Gurutze Frades finished second and Annah Watkinson third.